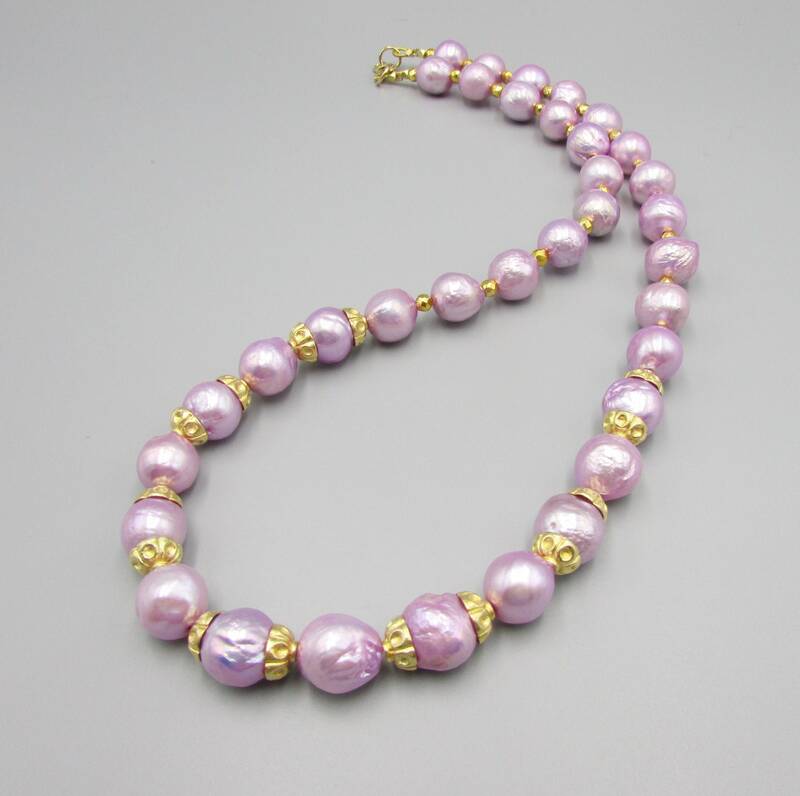 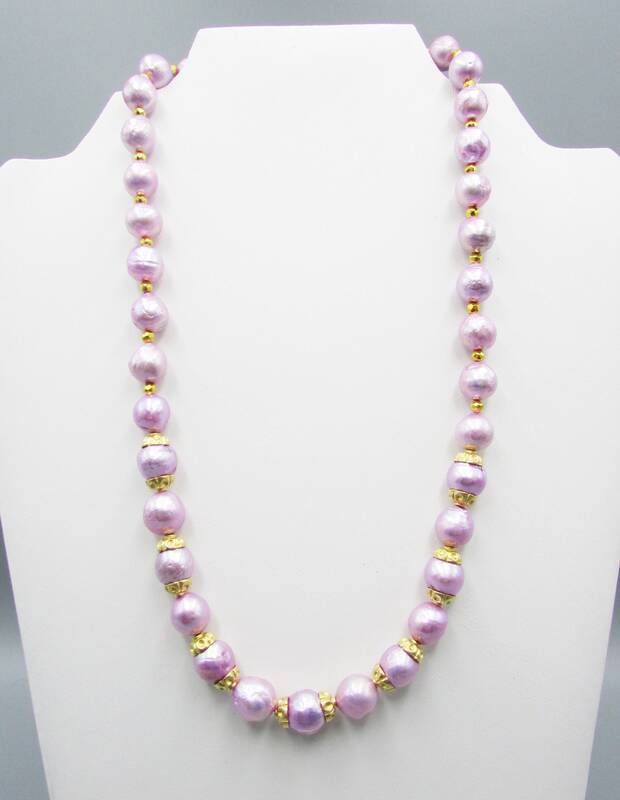 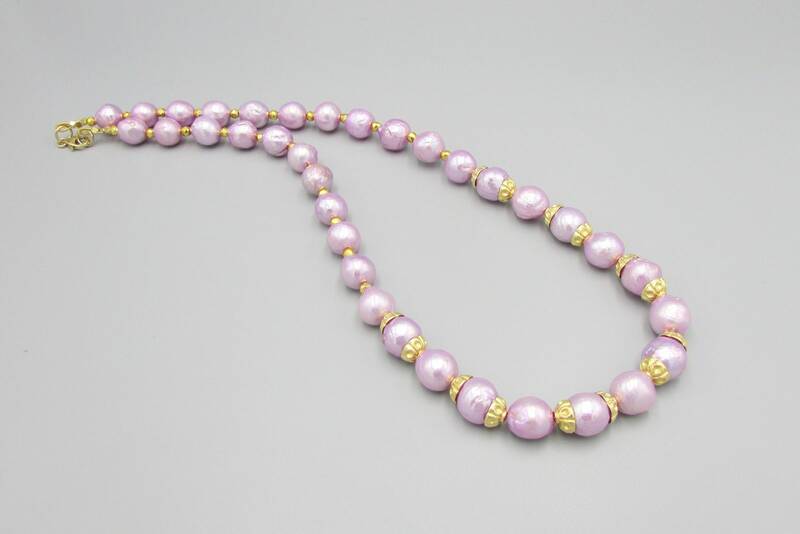 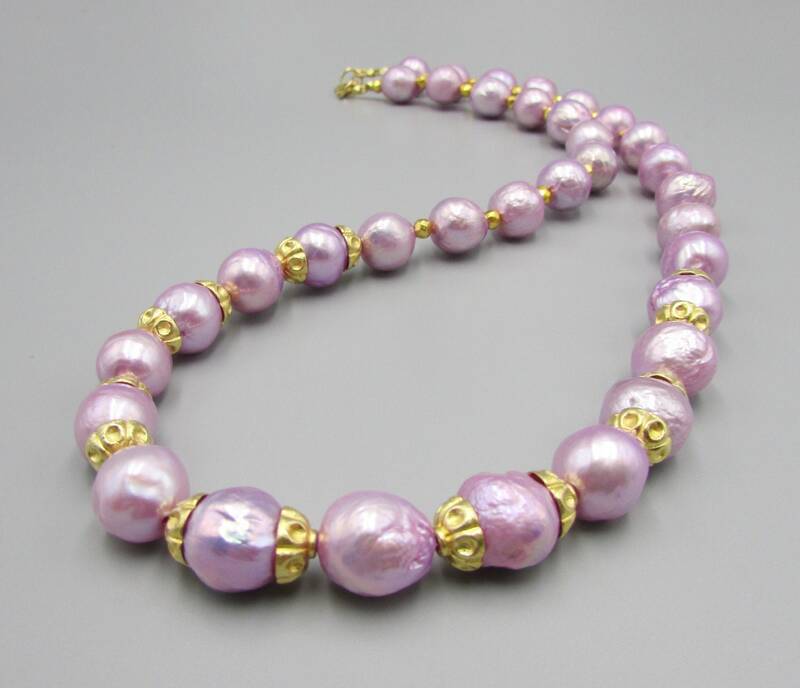 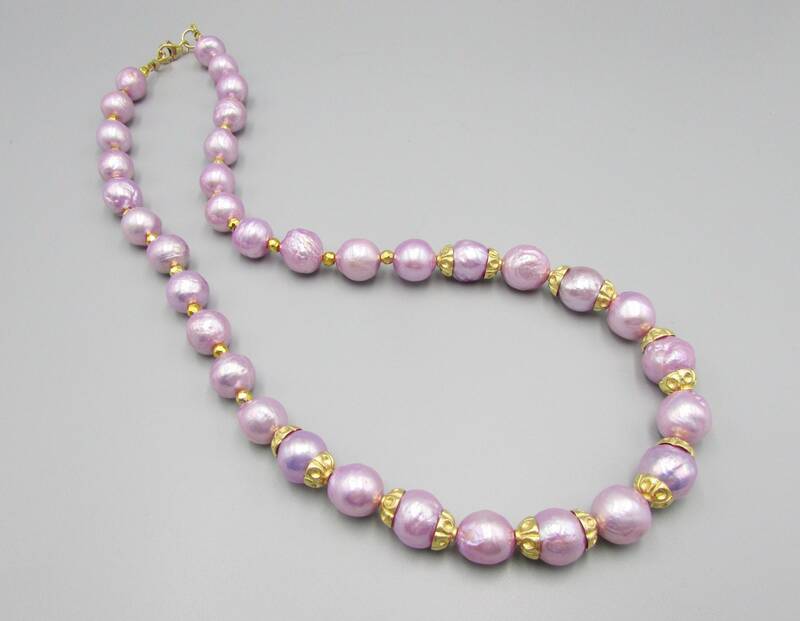 These stunning lavender kasumi like pearls are beautiful, with a gorgeous shimmer and luster. 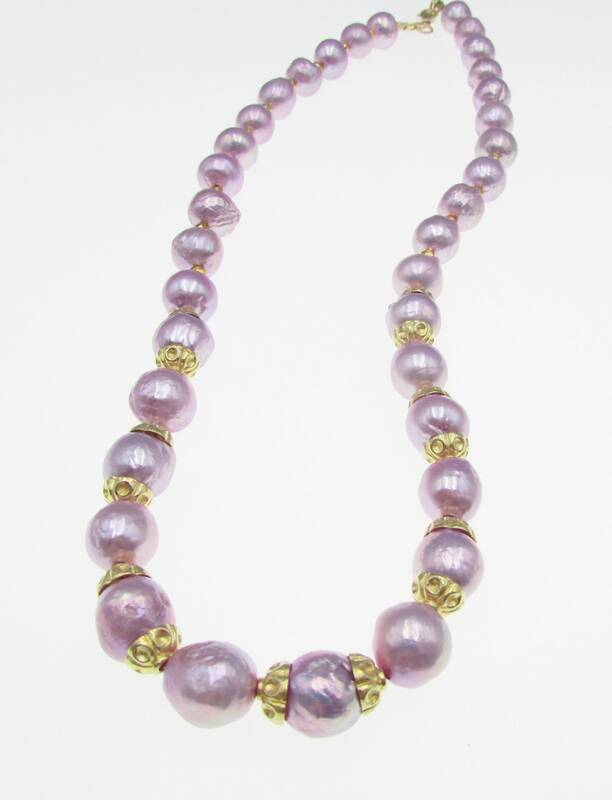 The pearls are lavender pink 10mm with vermeil bead caps and gold pyrite gemstone spacers. 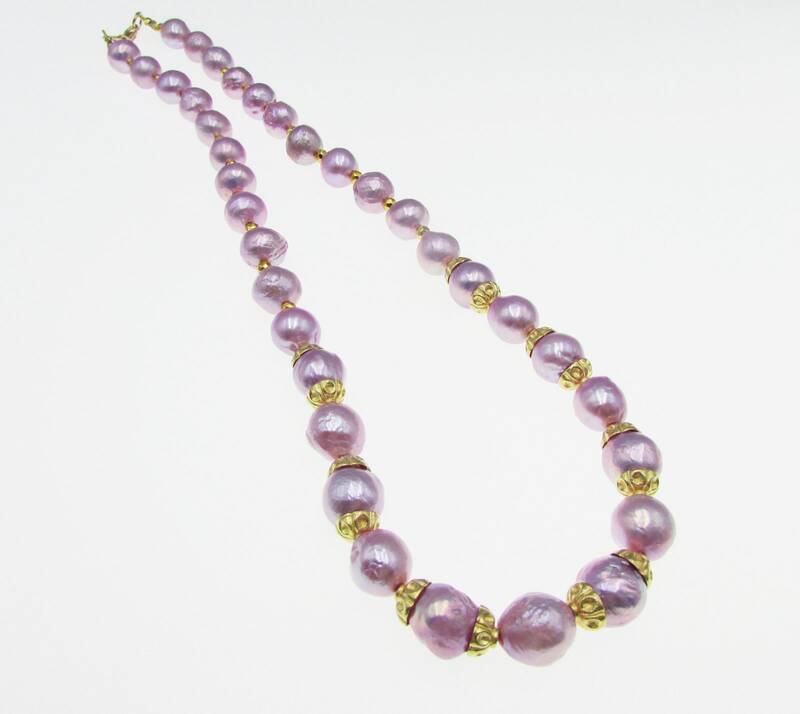 Finished with 14kt gold filled lobster clasp and gold filled findings. 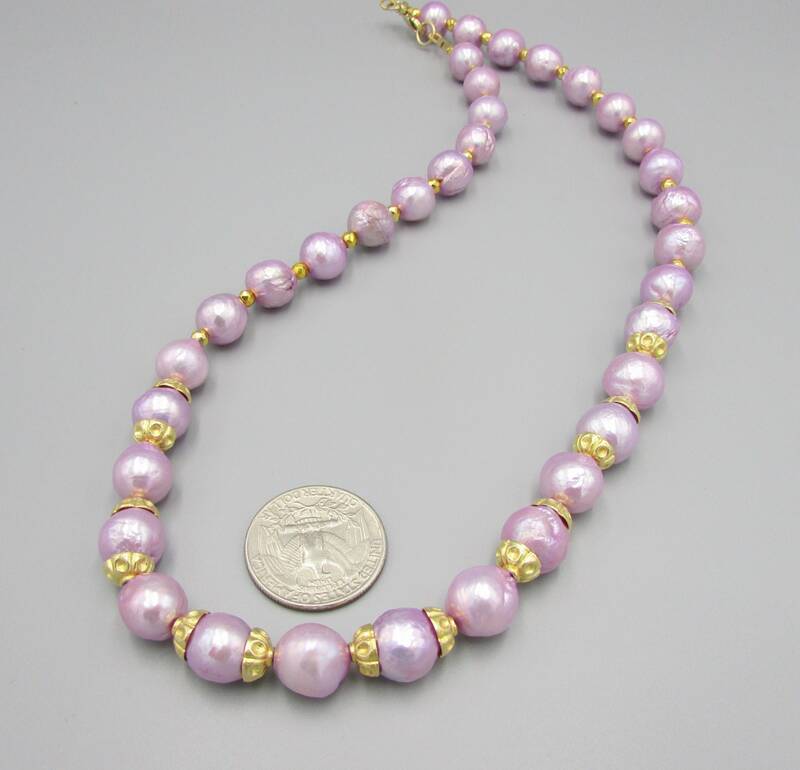 The length is 20 inches long.